Dealing with daily stress? Looking out ways to de-stress yourself and live a peaceful life? Here we are with the most effective and tested tips that can greatly help you in relieving your stress. Stress can arise due to your worries about job, money, relationship, family, friends, studies or anything. Stress is a normal part of life but when you are over-stressed, it can invite various other physical and mental health issues. Due to such worries, the blood pressure of your body shoots high, heart rate increases with high metabolism and blood flow. The body reacts quickly and every nerve is strained. While talking about the effects of stress on body, they are many. 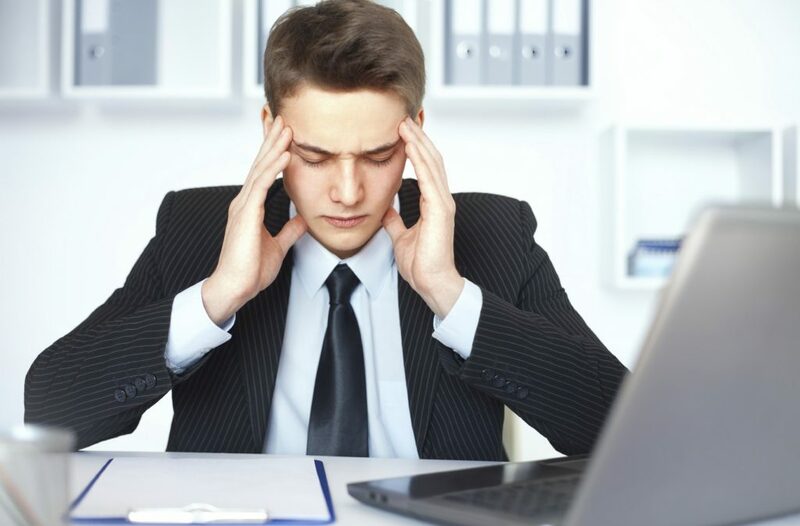 The stress leads to severe effects on brain and nerves giving you the feeling of headache, low energy, irritation, sense of despair, memory issues and disturbed sleeping pattern. The heart gets affected and gets faster heartbeats with the possibility of high cholesterol and risk of heart attack. Due to stress, you may also feel nausea, changes in your daily appetite, weight gain, heartburn and even stomach ache. Besides all these effects, the major effect is on the reproductive organs. In women, stress can lead to irregular and painful periods and even low sexual desire while in men, stress can lead to impotency, low count of sperms and much reduced sexual desire. Thus, you must know that stress in no condition, is healthy for your body. If you are stressed out then you must take all the possible measures and do every bit to reduce it. No “superhuman” urge – You are a human and not a superhuman. Accept it. More than half of your stress, results from the expectations that you have from yourself. You should accept the fact that nobody is perfect and neither are you. You should not expect perfections both from the others and from yourself, as to err is human. Set realistic expectations that can be achieved and fulfilled. If you are taking too many responsibilities than you should actually handle, you are most likely to get stressed and depressed. You should set your limits- How much can you work? How much can you handle? What should you expect? Also, you should never hesitate to take help when you need it. Meditate- Taking out a 10 minutes time from your super hectic schedule is not asking for much, right? You should use this time to sit, relax and calm your mind, body & soul. Set a nice instrumental music that can relax the nerves of your brain and just spend time with yourself. In this time, you just have to introspect yourself, confront your stress and find the root cause of it. It will help you in sorting out your issues. Eat well- The type of food we eat does affect your mood. According to the psychiatrist and other health experts, having a balanced diet leads you to a stressful life. You should try to include more and more vegetables, whole grains, lean protein and other fruits. However, it is advisable to avoid oily and spicier foods, as they can trigger your brain cells and lead to anger and stress. But yes, you can enjoy your favorite foods. Take a break- How about taking a break and going on a vacation? An outing with your family or maybe, a solo vacation can keep your mood balanced. Going on a vacation will divert you from your daily, monotonous routine and yes, your daily life stress as well. It will rejuvenate your body, refresh your mind and will keep your mind at peace. Hobby time- If you are stuck in your daily schedule, from home to office and office to home then you must take out time for yourself. Whether you love sketching, swimming, reading books, watching movies, playing golf, doing puzzles or playing board games, you should do that. Even if you take out just 15-20 minutes, you are sorted. You will feel much more relaxed. If you are in an acute stress and all the above discussed tips are hardly working for you then you should seek for a medical help. A reputed psychiatrist can extend help in this regard and can give you proper treatment to get over acute stress, and lead a mentally healthy life. You can reach the most experienced and best psychiatrist in Delhi by doing your own research about the medical professional and by going through the testimonials of that particular psychiatry clinic that you are planning to visit. Stay stress-free, Stay healthy! Are you suffering from depression? Worried about your intense obsessive compulsive disorder? If yes then you are at the right page. A mental disorder or a disease requires the help of a psychiatrist and choosing one can be of great challenge. If you do not have any idea of the type of disorder that you are suffering from, you will not be able to choose the right psychiatrist. And if you do know about your disease then you need to keep certain factors in mind before actually starting your treatment with a particular psychiatrist. Landing up with any psychiatrist will only make you fall in troubled waters later with no improvement in the severity of the mental disorder that you are suffering from. Explore- In order to get to the finest of the fine psychiatrist, you will have to research. On browsing through the internet, you will find a number of psychiatrists but you must know that all are not well-reputed and popular. You will have to reach the one that is known for the best psychotherapies. Also, it is important to explore the types of common therapy methods, which include cognitive behavioral therapy, interpersonal therapy, mindful cognitive therapy, family 7 couples therapy, acceptance & commitment therapy and psychodynamic therapy. Once you have a knowledge of these types of therapies, you will have a clear idea of the specific therapy you need. Accordingly, you can look out for the concerned psychiatrist. Experience- Experience of a psychotherapist does count. While looking out for a psychiatrist in Delhi, you should keep a check on the experience of the doctor, as more experience leads to better treatments. 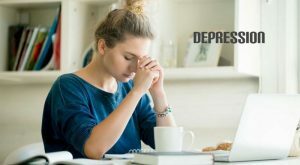 If you are suffering from depression then look out for psychiatrist who specializes in treating depression and likewise, it is better to reach the doctor that has a specialization in treating the disease for which you need the treatment. Yes, you need to find the therapist for your unique fit. Check license and insurance- Of course, the psychiatrist that you are approaching has to be licensed. You can ask the doctor to dispense his/her license and even check the same with the state licensing board. If this information is available online then you have an easy access. Else, you can contact the board and enquire the particular psychiatrist that you are planning to visit. If you have an insurance then you would definitely want to use it. Thus, it is important to check whether the psychiatrist accepts the insurance or not. Checking both insurance and license is a prerequisite to reach the best psychiatrist in Delhi. Make connection- It is always better to make a connection with the psychiatrist before actually starting with the treatment process. If the psychiatrist offers the free consultation then it is a good opportunity to reach and know more about him/her. What you can do is to ask general questions about the types of therapies offered and number of sittings required to treat a specific disease, prices and other general queries. You will get an idea of the behavior and attitude of the psychiatrist by the way he/she will answer your queries. The way the doctor will treat you in the initial phase will help you in taking the decision whether to reach him/her or not. Ask for references- You can always ask for references of a good psychiatrist from your known-ones who have had an experience of receiving such a treatment in the past. Since they have already acquired a treatment from a specific psychiatrist in Delhi, they will able to tell you better about him/her. Consequently, you will get the clear idea of the services of the doctor and will be able to rely on him/her. References will ensure that you are reaching the right doctor and you will get the most effective treatment. Never settle for less- You should never settle for less when it is about your health. You should always choose the best psychiatrist. If you think that the one you have chosen is not providing the right kind of treatment, you must switch even you are in middle of your treatment sessions. No compromises have to be made here. There is no point of continuing the treatment with a doctor who is unable to treat you effectively. Therefore, you must keep all the above discussed factors in mind and then choose the best psychiatrist in Delhi. Once you have chosen the right psychotherapist, you can rest all your worries on him/her. And yes, your disease will be treated in the minimum possible time and you will be able to lead a normal life. Wish you a happy and disease-free life! Take care. Author adminPosted on February 25, 2019 Categories Psychiatrist in DelhiLeave a comment on How to choose the best psychotherapist in Delhi? We now know that there is not only one autism but many subtypes, and each person with autism can have unique strengths and challenges. Autism affects an estimated 1 in 59 children. Having the proper knowledge of the disease can save a lot of lives. Many researches have been done so far on this disease. Based on those, I am here presenting some very important things you must learn about the disease. Many people with autism also have sensory issues. These can include aversions to certain sights, sounds and other sensations. Symptoms of autism typically appear during the first three years of life. Some children show signs from birth. Others seem to develop normally at first, only to slip suddenly into symptoms when they are 18 to 36 months old. However, it is now recognized that some individuals may not show symptoms of a communication disorder until demands of the environment exceed their capabilities. Autism is four times more common in boys than in girls. It knows no racial, ethnic, or social boundaries. Family income, lifestyle, or educational levels do not affect a child’s chance of being autistic. I am going to highlight about the core symptoms of the disease. This will help you to gain a little more knowledge about the disease and you can take the timely advice if required. Social Communication Challenges: The first symptom is very well-known to all it is social communication challenge. A person who is suffering from Autism may face this problem. He would find it difficult to communicate with the society and this is from where one could spot a person with autism disorder. Restricted, Repetitive Behaviour: This is another sign which will let you know about an autistic patient. You will find a restriction in their behaviour. There would be a repetition for them in doing the things. They would find it difficult to swap themselves from one task and hence would stick to one thing only. When a pregnant woman is exposed to certain drugs or chemicals, her child is more likely to be autistic. These risk factors include the use of alcohol, maternal metabolic conditions such as diabetes and obesity, and the use of antiseizure drugs during pregnancy. In some cases, autism has been linked to untreated phenylketonuria (called PKU, an inborn metabolic disorder caused by the absence of an enzyme) and rubella (German measles). Although sometimes cited as a cause of autism, there is no evidence that vaccinations cause autism. Autism is not a disorder, but it needs your proper care and attention. There are many methods that have been developed to treat a child suffering from Autism. Regular counselling is something which will make them strong. It is necessary to take the required action and that too on time. If you want the right consultation then you should contact a credible doctor for the treatment of the disease. If you are looking for best doctor for autism treatment in Delhi then you can contact Dr. Shashi Bhusan for the best treatment in the same. Mental sickness is one of the serious health concerns in India. 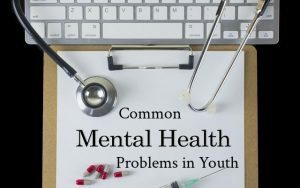 Though there is no such classification of age for mental patients but if will consider the latest reports then it has been found that youth are more prone to mental health diseases. Our team has conducted a latest research on the mental health problems in India, and we have come with this list with you. We would be listing five most common mental health problems in Indian youth. The research data will help everyone in analyzing the situation, and if you find that someone near to you is suffering from the same then it is better to consult a psychiatrist at the earliest. Let us take a round about the most common health diseases in India. It is a common, chronic and long-lasting disorder in which a person has uncontrollable, reoccurring thoughts (obsessions) and behaviors (compulsions) that he or she feels the urge to repeat over and over. It’s a neurochemical disturbance in brain and worsens due to stressful environment. It’s treated with medication, psychotherapy or a combination of the two. An obsessive person is often guilt-ridden for having irrational thoughts and his or her inability to control them or associated compulsive behavior. This leads to them justifying their obsessions and compulsions and therefore they are unable to seek help. Treatment duration depends upon the intensity and frequency of episodes and may be needed throughout life. The examples include a fear of contamination, experiencing unwanted sexual thoughts which are undesirable and invoke feelings of guilt and shame, religious obsessions, having excessive concerns about physical health (of self or others), compulsions are repetitive behaviors or thoughts that a person engages in to neutralize, counteract, or make their obsessions go away, like washing and cleaning in excess without satisfaction, repeatedly checking, repetitive actions, arranging or setting things in efforts to eradicate the discomfort of seeing things disordered. These obsessions and/or compulsions typically take a reasonable amount of time (more than an hour a day). It is one of the top causes of mortality in the world today, but people still fail to recognize it. This is different from sadness. Depressive disorders can occur at any age, gender and in any socio-economic strata. A depressive episode is characterized by a two-week period marked by a depressed mood and loss of interest or pleasure in activities, which leads to a significant interference in the person’s social and occupational functioning. These symptoms might be accompanied by a significant weight loss or decrease or increase in appetite, along with sleep disturbances, low energy levels and fatigue. Such a depressed individual might experience feelings of worthlessness or excessive or inappropriate guilt, with a difficulty in concentration, difficulty in decision making, and recurrent thoughts of death. However different doctors have different view point for the same and many have come up with the conclusion that, its cause varies from person to person, but is mainly due to deficiency of serotonin in brain. 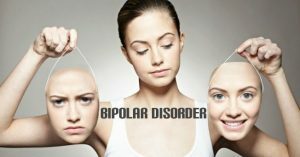 It is also called as Bipolar Affective Disorder, in which the mood disorders can be viewed on a continuum, has one pole comprising of low moods, sadness and low levels of energy (depressive phase), as opposed to the other extreme pole comprising of excitability, euphoric or excessively cheerful moods, and high levels of energy (manic phase). 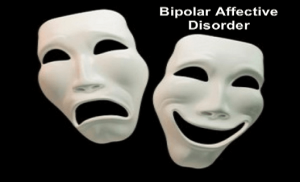 The bipolar disorders are characterized by fluctuating moods, between both these opposing poles. In addition to the depressive episode, a manic episode is characterized by a distinct period of abnormally elevated, expansive or irritable mood, which persists over a period of time, along with an increase in the person’s energy levels and goal-directed activity, which lead to marked interference in the social and occupational functioning. These symptoms would persist for at least one week, during which period they need to be present for the most part of the day. The episode is also characterized by an increased self-esteem or grandiosity, with a decreased need for sleep, which could mean that the person would feel rested after a few hours of sleep. 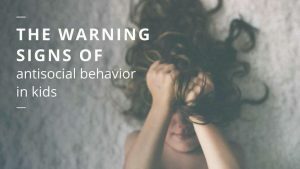 Another typical tendency of individuals in a manic phase includes an excessive involvement of the person in activities that have a high potential for painful consequences, for example, engaging in unrestrained buying sprees, sexual indiscretions, or impulsive business investments, which is quite common among children, but is more often ignored than not. Characterized by excessive activity, or difficulty in controlling behavior which is not appropriate for a person’s age, there symptoms begin by the age of six to 12, and cause problems in at least two settings (such as school, home, or recreational activities. In children, problems paying attention may result in poor school performance. Although it causes impairment, particularly in modern society, many children with ADHD have a good attention span for tasks they find interesting. It is another disorder that’s climbing the charts in the country. Indian hospitals have experienced patients with palpitation, restlessness, apprehension, trembling, flushing, dizziness, nausea breathlessness and vomiting due to a stressful event. These are nothing but anxiety. The problem is when anxiety response becomes a disorder especially after these symptoms occur frequently. Generally, people presume that the symptoms are due to a cardiac problem or a respiratory issue, and hence they visit a psychiatrist only when it’s too late. There is even the likelihood of them getting addicted to substances like alcohol, tobacco, drugs or sleeping pills as these substances give temporary relief. This disorder goes hand in hand with depression and serotonin deficiency. Anxiety is a physiological process, which can be triggered in a situation which is perceived as being potentially dangerous, and the brain sends a message to the autonomic nervous system, thereby activating a fight or flight response. It could be manifested in the form of psychological symptoms as well, like difficulty in attention and concentration, forgetfulness, feeling a loss of control, etc, and behavioral symptoms like disturbed sleep, restlessness, fatigue as well as avoiding confrontation or high pressure situation. 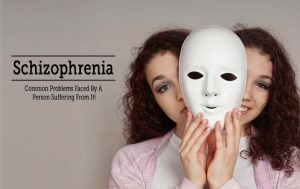 Schizophrenia and the psychotic spectrum of disorders is characterized by the presence of hallucinations, delusions, disorganized thinking (which is manifested in the individual’s speech), grossly disorganized or abnormal motor behavior, and other negative symptoms like a lack of motivation or reduced emotional expressions. Hallucinations are the person’s sensations which are very vivid, but without the actual presence of a stimulus. A delusion is an individual’s false belief, which is firmly held and persists despite the presence of any contradictory evidence. Such delusions could believe that others are conspiring or plotting against the individual, a belief that external events or phenomena are being targeted at the individual, or believing that the person is a superior power, etc. It is very hot and sensational issue that mental diseases are high in India. One is really supposed to take care of the things very minutely. Though mental diseases are common but in the meantime it is very difficult to find trusted doctors for the same. Dr. Shashi Bhushan is India’s trusted psychiatrist located in Delhi. He is expert in handling different types of mental diseases. Melancholia depression used to be seen as a distinct disorder but according to the psychiatrists it is no more considered as a separate mental illness. Now it is seen as a major depressive disorder.Major depressive disorder is a type of mental illness that is characterized by persistent and intense feelings of sadness and despair. People suffering from this disorder lack all the interest in doing things which they used to enjoy earlier. It can affect both the physical and mental health of patient. It can be related to different fields of life like schools, office, friends circle,or relationships. Different people have different symptoms of Melancholia depression. Some of the patients lose interest in daily activity, some become morbid and keep thinking of suicide. Sleep disruption, feeling in-appropriate guilt, weight loss are some common problems in melancholia.But the only hope is melancholia can be treated.For melancholia depression medication is mandatory because melancholia has biological roots and the causes appear due to genetic make up and brain function. Doctors usually prescribe anti depressant to the patients who are suffering from Melancholia depression. These types of medicine help to regulate the production of Serotonin and Dopamine in the brain. But anti depressant medicines take 2-4 weeks to work and in the meantime the suicidal thoughts might increase. So keep in contact with your doctor during the medication process. Taking medicine for a certain time span will definitely work out and your thoughts will be regulated. Cognitive behavioral therapy acknowledges that the way we think and behave affects our everyday life. psychiatrist will help you to reduce the negative thoughts and the therapy will work on the way you think. As the melancholia depression is so severe, psychiatrists combine the cognitive behavioral therapy with medication to treat the patients. Interpersonal therapy is done to help the patients to improve their relationship with the people they are surrounded by. This therapy mostly works on the facts that are exacerbating the symptoms of your depression.This type of therapy aims to help patients improve their relationships or alter their expectations of them. IPT also aims to help develop a stronger support network to deal with symptoms of depression more easily. If you are facing any of the symptoms of melancholia depression or any of your close ones is suffering from melancholia depression, then ask for medical help. Go through the proper treatment process. The therapies and medications can cure this problem. You have to be patient as these therapies might take time to show results. Learning to manage melancholia is not easy, but be optimistic. The treatment process might be a long road to recovery but staying confident through the whole process is necessary. Be supportive to the persons who are suffering from melancholia. If you find that you are suffering from any of the symptoms, do not procrastinate go to the psychiatrists as soon as possible because the early detection and treatment will lead to early recovery. Even if you find any of your close one is suffering from melancholia, convince them to take medical help. Do not try self treatments. There are so many renowned psychiatrists out in the market. Do not hesitate, and ask help from them. A very common disease which has affected more than fifty percent of world’s population today is depression. And, the saddest truth about depression is that children are also amongst the sufferers of depression. When we feel sad and down sometimes maybe things don’t go our way, we get hurt, or we lose someone close to us and children are no different. But having depression is more than just being sad. Depression affects the way we think, and how we see ourselves and our future. Along with feeling sad or irritable, it may seem that nothing is worthwhile and that things will never get better. 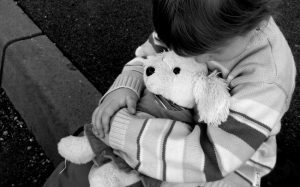 Depression is a serious issue and when it is in children, it really needs to be handled very well. Depression can stop kids enjoying the things they normally like doing, or taking part in their usual activities. The worst part is that, children facing the problem of depression actually are not aware under which problem they are. Being parents or guardians, it is important to keep a close eye on their activities and spot the disease. It is actually very difficult for children to tell and explain that they are feeling or suffering from depression. They can be unexpressive sometimes and especially when it is depression. 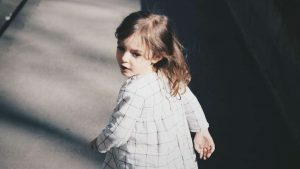 However, there are a few key signs and symptoms to look out for particularly if they happen together over several weeks and are out of character for your child. We are mentioning below the common signs and symptoms of depression amongst children that will help you out in spotting the disease so that, the timely treatment and counseling should be given. They have low energy and are difficult to motivate. If they are showing such sign that it can be an alarm of depression. They lose interest easily in an activity they usually enjoy. As a result of that, they prefer to keep them in solitude with a cut from friends and family. They have difficulty listening and concentrating on tasks. This is a very major sign of depression and something that you should take on a serious note. They make negative comments about themselves. If you spot your kid making negative comments about them on any issue then it should be treated at that time only. The withdrawal from social situations, not want to spend time with friends, is also a sign that everything in their mind is not well. They need your support at this point of time and you should handle the things very well. They look for what’s wrong rather than see the positives in situations. Their mind is completely filled with negative things even on positive points, they go low and depressed. It is very difficult to please them because they create their own shell and it becomes tough for them to come out of that. They can be irritable, agitated, easily annoyed or upset and sometimes that too without any reason. In everything they can show this kind of behavior hence it is something that has to be dealt very sensitively. They can seem sad and cry easily and be difficult to soothe them. At this point, it is really very difficult for them to control their emotions. They either have no interest in food or overeat. The eating disorder is also a sign that child is suffering from depression problem. They have problems going to sleep or staying asleep, waking early, or sleeping a lot. 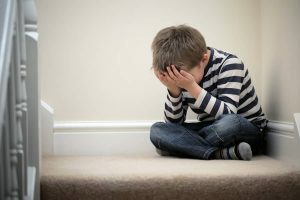 As the symptoms of depression are often characterized by negative behavior such as irritability or whining, it’s easy to feel annoyed and to blame or punish the child for their behavior. This can result in other signs of depression being missed. If you find that your child is facing any such kind of things, then it is very important to get a consultation from doctor. Dr. Shashi Bhushan is a reputed child psychiatrist in Delhi. You can also take his appointment online and get the best and timely treatment by Dr. Bhushan. Depression is not a diseases but it is a thought from within, a shell that a person creates by himself and don’t want to come out of the same. When you’re depressed, it often feels like nothing in the world can make you feel better. It is a very serious disorder, because the symptoms it creates can discourage you from completing the very actions or seeking the help that would begin your recovery. Lack of energy, low self-esteem and dwindling excitement are some of the symptoms that make it hard to get out of a depressed state. Anyone who is suffering from the disease should understand this better that it is curable and is very common. By treating it like any other physical disease and taking the actions that will destroy the parasites infecting your mental state; you can conquer your depression. Here are eight steps to doing just that. Depression is often accompanied by a critical, self-destructive mentality that interferes with and distracts us from our daily lives. When depressed, people tend to accept this negative identity as a true representation of who they are. To begin this process, it is helpful to think of these destructive thoughts as being like the parasites that keep you in bed when you’re sick with the flu. Don’t listen to these attacks when they tell you not to pursue your goals, to isolate yourself, or to forego an activity you enjoy. This gives the voice even more power over you. Instead, when you notice these thoughts and attitudes starting to intensify and take precedence over your more realistic, positive ways of thinking, it is essential to identify them as an alien point of view. Ask yourself, would you think such cruel thoughts about a friend or family member who was experiencing the same struggles. By having compassion for yourself and recognizing this inner voice as a destructive enemy, you can begin to see who you are more clearly and realistically. While some experience depression as a continual state of sadness or increased painful emotions, some depression can come in the form of a state of numbness a lack of feeling that weakens all excitement and smothers your potential to feel joy. Suppressing or cutting off emotions could be a defense against something you aren’t comfortable feeling. Many people who suffer from depression are actually masking a feeling of anger turning their rage toward someone else on themselves. 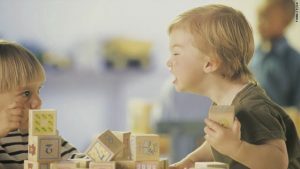 Anger can be a hard feeling to accept, as from a very young age we are often told it is bad to be angry, that we need to behave, and not to throw tantrums or get in fights. While acting abusive is never acceptable, feeling anger is a natural part of our everyday lives. By acknowledging and accepting or discussing your angry feelings, you are much less likely to turn these feelings against yourself or allow them to lead you into a depressed state. When you’re depressed your energy levels can drop drastically, but the last thing you want to do when feeling down is to keep yourself from getting up. It’s a physiological fact that activity fights depression. Get your heart rate up 20 minutes a day, five days a week, and it has been scientifically proven that you will feel better emotionally. Exercising increases the neuro-plasticity of your brain and releases neurochemicals called endorphins, which help to elevate your mood. 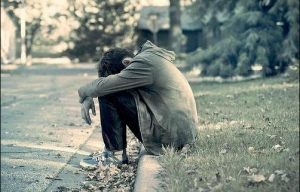 When depressed, you may hear thoughts telling you to be alone, keep quiet and not to bother people with your problems. Again, these thoughts should be treated like parasites that try to keep your body from getting healthy. Do not listen to them. When you feel bad, even if you feel embarrassed, confiding in a friend or voicing your struggles can lighten your burden and begin a process of ending your unhappiness. It may seem silly or all too simple, but anything that makes you laugh or smile can actually help convince your brain you are happy. 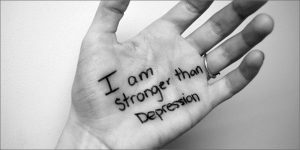 If you look at depression as your critical inner voice having tricked you into feeling bad, then you can have your own tricks ready to fight depression. Playing your favorite game is also a way to fight with the disease. These are the 6 better ways that can help you to fight with depression. Your consultation with a good psychiatrist and a timely advice can make the difference. It is always required that you should not take the disease lightly and should go for the best treatment possible at the best time. A panic attack is an intense wave of fear well-spotted by its unexpectedness and debilitating, immobilizing intensity. Panic attacks often strike out of the blue, without any warning, and sometimes with no clear trigger. They may even occur when you’re relaxed or asleep. It can be a one-time occurrence but this can also not be denied that many people have the repeated attacks of panic disorder. Recurrent panic attacks are often triggered by a specific situation, such as crossing a bridge or speaking in public especially if that situation has caused a panic attack before. Usually, the panic-inducing situation is one in which you feel endangered and unable to escape, triggering the body’s fight-or-flight response. The signs and symptoms of a panic attack develop abruptly and take not more than 10 minutes to reach to the peak. They rarely last more than an hour, with most ending within 20 to 30 minutes. The attack can happen anywhere and at any time. You may have one while you’re in a store shopping, walking down the street, driving in your car, or even sitting on the couch at home. While many people experience just one or two panic attacks without further episodes or complications and there’s little reason to worry if that’s you some people go on to develop panic disorder. 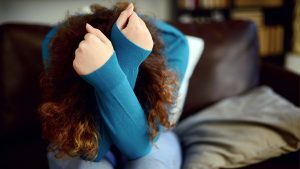 The repeated panic attack is considered as panic disorder, combined with major changes in behavior or persistent anxiety over having further attacks. Anticipatory Anxiety: Instead of feeling relaxed and like your normal self in between panic attacks, you feel anxious and tense. This anxiety stems from a fear of having future panic attacks. This “fear of fear” is present most of the time, and can be extremely disabling. Phobic Avoidance: You begin to avoid certain situations or environments. This avoidance may be based on the belief that the situation you’re avoiding caused a previous panic attack. Or you may avoid places where escape would be difficult or help would be unavailable if you had a panic attack. Taken to its extreme, phobic avoidance becomes agoraphobia. A timely treatment is the only way out to fight with the disease in a better way. You should consult a good and trusted doctor for panic disorder treatment. The better way is to search for the best psychiatrist in Delhi online and you would come across with the trusted options and choices. Alcoholism is a very serious medical disease and the worst part is that the signs and symptoms of the disease vary depending on the amount and frequency of consumption. The disease is dangerous both physically and financially. Alcoholism leads to deterioration of mental health too. Timely treatment is the only way out to fight with the disease. In this article, we are going to highlight about the most important points about the disease that would help you to understand it better. It is always said that for fighting with the disease, you need to understand it better first. First of all, let us understand the signs of alcohol consumption. By understanding the signs of the disease, you can handle the situation only when you are aware of the symptoms. The physical signs of alcohol overconsumption and intoxication are recognizable by most adults; few very common signs are mentioned here. Slurred or Incoherent Speech: This first sign is definitely commonly seen in the one who is suffering from the disease. If a person is suffering from the same then one can find that he is facing problem in speaking or his speech is not clear. Poor Balance and Clumsiness: In the alcoholism dependence syndrome the person is unable to make the body balance and suffers from clumsiness from all the time. Delayed Reflexes: The delayed reflexes in body are also signs of alcoholism in body. It is something that is an uncontrolled action, even if a person wishes to response but due to the poor mental condition he cannot. Stomach Pains, Vomiting or Nausea: Considering the strong health signs then stomach pains, feeling of nausea and vomiting are also the strongest symptoms of alcoholism. Loss of Consciousness or Blacking-Out: A person who is suffering from alcoholism suffers from memory loss and along with this there is a loss of consciousness too. Redness of the Face during or after Periods of Consumption: This is a sign that may or may not appear in the person who is suffering from the disease. In some cases, redness on the face may occur when the person is consuming alcohol. Alcohol poisoning is a life threatening disease. The extent of consumption of alcohol can lead to extreme deterioration of health. The respiratory system becomes depressed, and the person will stop breathing. 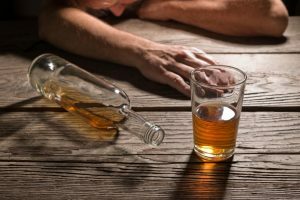 Untreated alcohol abuse can progress to an addiction to alcohol characterized by physical dependency and/or inability to stop despite serious consequences. The worst part about alcohol consumption is that, once a person starts to consume alcohol then hardly he can stop over the same. Alcohol dependence indicates that the user has made obtaining and consuming alcohol a predominant focus of her life. We are here mentioning the signs and symptoms of alcohol dependence that definitely signifies a very serious mental health condition. Significant hangovers, and increase in time needed to recover from after-effects of alcohol use is a very strong sign of alcohol dependence. Repeated unsuccessful efforts to reduce alcohol consumption. Even when a person tries so hard and he is unable to leave the habit then it is also termed as alcohol dependence. Reduced attention to personal and professional responsibilities also suggests that the person is under the influence of alcohol which is restricting him to show attention towards the responsibilities. Alcohol dependence is really a very serious concern. It is required that one should treat the disease on-time to lead a happy life. Consulting an experienced doctor can help the way. Dr. Shashi Bhushan is the best doctor for alcoholism dependence treatment in Delhi. You can book an appointment with him and get rid of the disease at the earliest.